These plans include necessary examinations, vaccines, laboratory tests and other services essential to protect your dog and cat against illness. An upgraded plan is designed to provide additional services like routine dental cleanings and more extensive annual diagnostics. Petly doesn’t cover all healthcare cost, but it does make wellness more affordable. Dogs and cats age at a much faster rate than people. 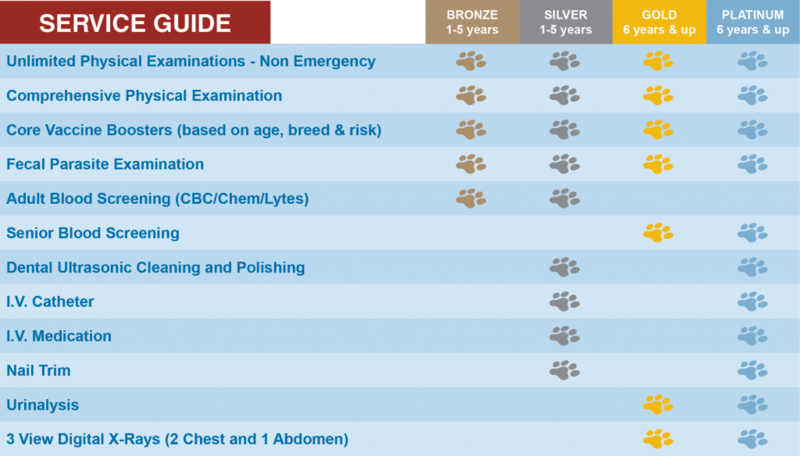 For every year that you age, your dog or cat can age from 6 to 8 years. Your pet’s medical and nutritional needs change as their bodies age. A Preventative Care Plan helps manage their evolving health care needs by monitoring vital organ function and detecting problems early, before they become life threatening. Early treatment is also usually less costly. Adult preventative care plans at Auburn include all necessary examinations, vaccines, laboratory tests and other services essential to protect your dogs and cats against illness and disease. An upgraded plan is designed to provide additional services like routine dental cleanings and more extensive annual diagnostics. Our goal is to keep your pet healthy and happy during the prime years of their life. Adult Petly plans are designed for dogs and cats older than 7 months of age. They won’t eliminate all pet care costs, but Petly does include most basic care. See our Information Booklet for more information.